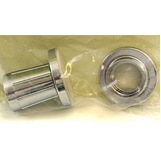 These Flanges are solid cast brass and are available in Bright Chrome Finish in 1″ and 1 1/4″ diameters, and Brass Finish in 1″diameter. 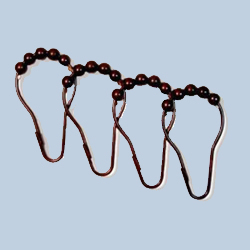 All Brackets are sold in sets of 2. 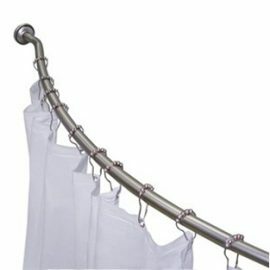 Our Decorative Curved Shower Curtain Rods create extra elbow room in the shower. Available finishes: Satin Nickel and Rubbed Bronze. 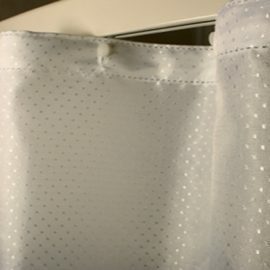 Polyester Dot Weave Water Repellent Shower Curtain. Popular traditional designer pattern. Liner recommended for longer wear. Machine Washable. Custom Length or Width: Custom size shower curtains are available! Please contact us for pricing. Eco Friendly Matelasse All Natural Cotton blended with post consumer polyester is non toxic, VOC free, free of pesticides and prepared with vegetable dyes and finishes. Constructed with a reinforced triple folded heading, reinforced with a strip of no-tear buckram, with sewn eyelets. 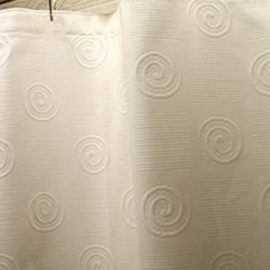 This is a decorative shower curtain and a liner must be used with it. Available in size 72” x 72” only. 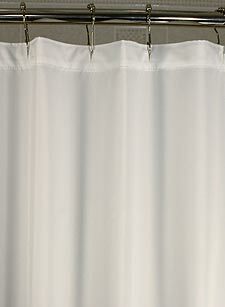 Custom Length or Width: This shower curtain is only available in 72″ x 72″. PEVA Eco Friendly Heavy synthetic plastic is soft and pliable, mildew resistant and bio degradable. No chlorine, no heavy metals, and odor free. Stocked in size 72” x 72” only with metal grommets and bottom magnets. Custom Length or Width: Plain Peva is currently unavailable in extra wide and extra long sizes. 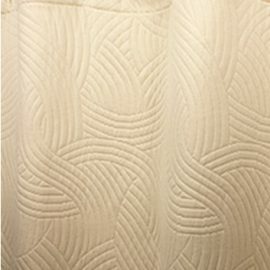 Plain Hotel Nylon is our most popular fabric shower curtain liner. Widely used in fine hotels nationwide. Can be used as a stand alone curtain. Machine Washable. Custom Length or Width: Custom shower curtains are available! Please contact us for pricing. 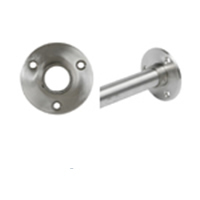 Our Jiffy Flanges require no drilling and are expandable. They are available in 1″ Bright Chrome.